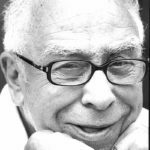 Art Buchwald was an American humorist best known for his column in The Washington Post, which in turn was carried as a syndicated column in many other newspapers. His column focused on political satire and commentary. He received the Pulitzer Prize for Outstanding Commentary in 1982 and in 1986 was elected to the American Academy and Institute of Arts and Letters. "Whether it’s the best of times or the worst of times, it’s the only time we’ve got." "You can’t make up anything anymore. The world itself is a satire. All you’re doing is recording it." "This is a wonderful way to celebrate an 80th birthday… I wanted to be 65 again, but they wouldn’t let me – Homeland Security."